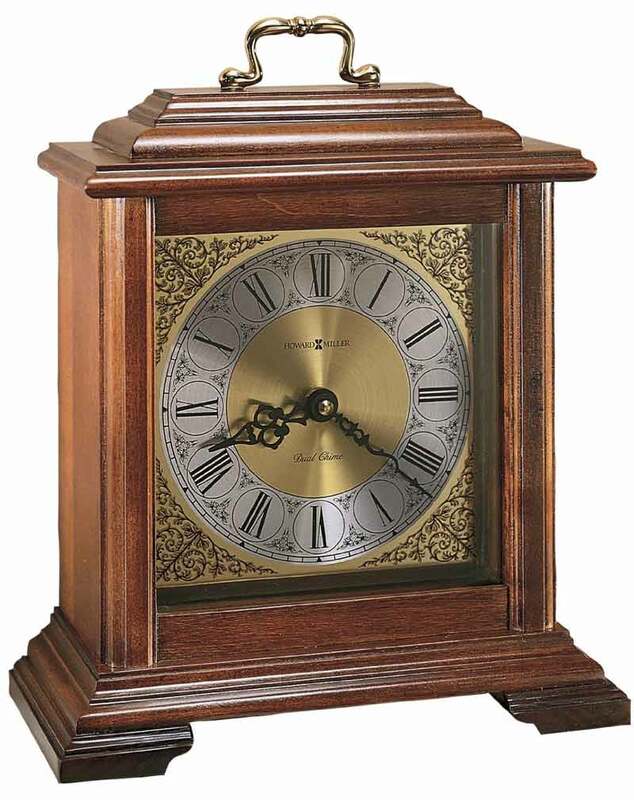 The Howard Miller Medford Mantel Clock offers a brass finished handle. Brass finished Roman numeral dial with silver chapter ring. Finished in Windsor Cherry on select hardwoods and veneers. Automatic nighttime chime shut-off between 10:00 pm and 7:15 am. A set of two "C" Duracells will power the clock well over a year at a time. 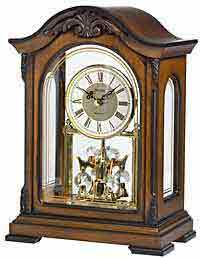 Quartz, dual chime movement plays Westminster or Ave Maria chimes with or without quarter hour chimes. The Medford features a volume control and automatic nighttime chime shut-off option. Size: Height 11-1/4" Width 9-1/4" Depth 4-1/2". 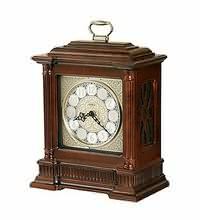 This Mantel Clock is Made in USA. 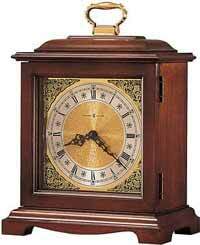 Clocks for sale at The Clock Depot including the 612-481 at discount prices.